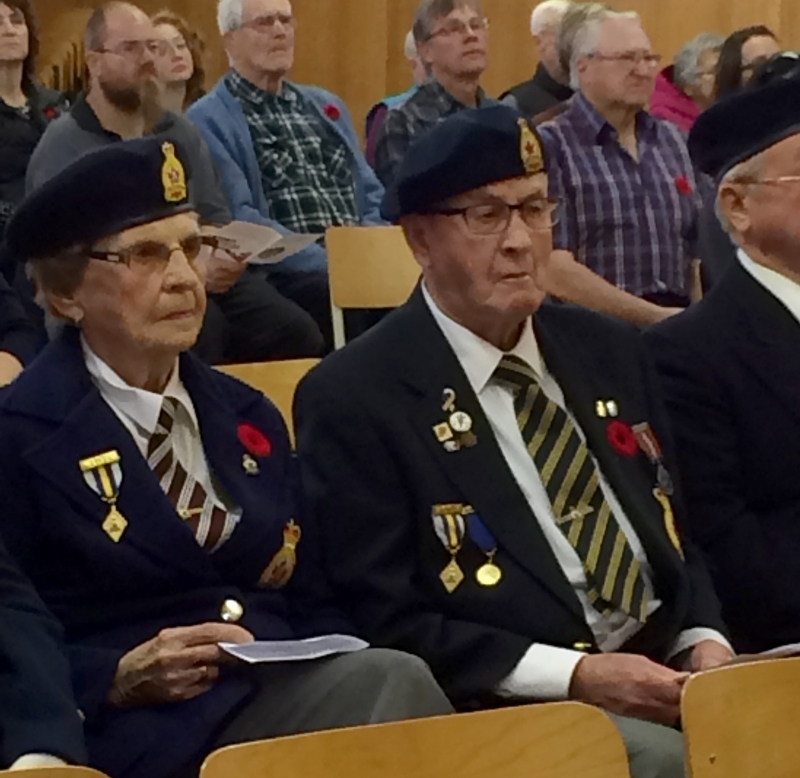 The Royal Canadian Legion Branch #48 and the community of Birch River gathered on November 11, 2018 to remember. This annual Remembrance Day Service in Birch River is always well attended and we are thankful that we have our Community Choir who come together to help us with the singing and to present some music of their own. Our Veterans are now few in number and this year we had only one veteran, Comrade Boyd McLure at our service. 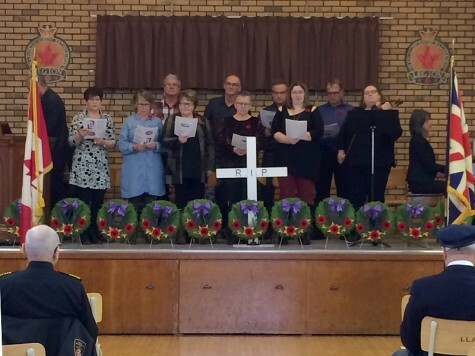 Comrade McLure laid the Royal Canadian Legion wreath and Comrade Peggy Davy (an associate member) laid the wreath for the Royal Canadian Legion Ladies Auxiliary. We also had wreaths laid by community members in representation of their organization. The solemn service of Remembrance was followed by a wonderful lunch provided by the ladies Auxiliary. We thank them for their unwavering support. The Legion Hall was then re-set to get ready for the evening events. 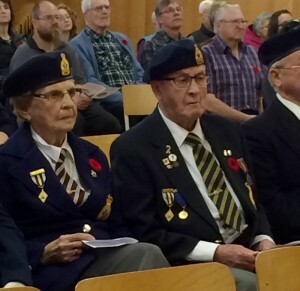 The Royal Canadian Legion and the community gathered again at 4:45pm to ring the Bells of Peace at the going down of the sun, at the Roman Catholic Church. 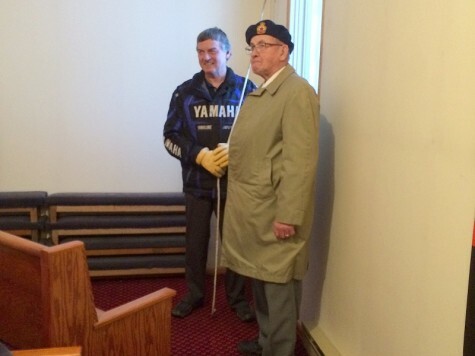 Descendants and legion members of WW1 Veterans took turns tolling the bell. 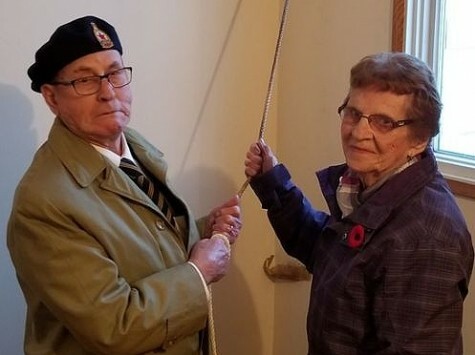 The bell ringing started with Comrade Boyd McLure who is the son of a WW1 Veteran and a Veteran himself of WW2, he was followed by representation from many families, Comrade Peggy Davy also pulled the bell rope in memory of her father David Moore who was a Veteran of WW1. Comrade McLure then tolled the bell to mark the end of the bell ringing. We appreciate each and every person who came out and supported the Legion in this day of events. 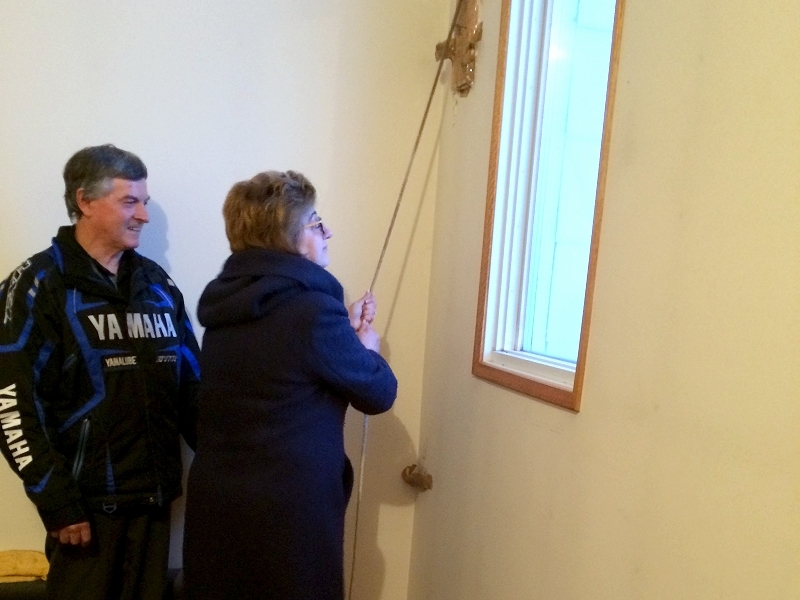 It was heartwarming and overwhelming to see 60 some people at the ringing of the Bells of Peace. 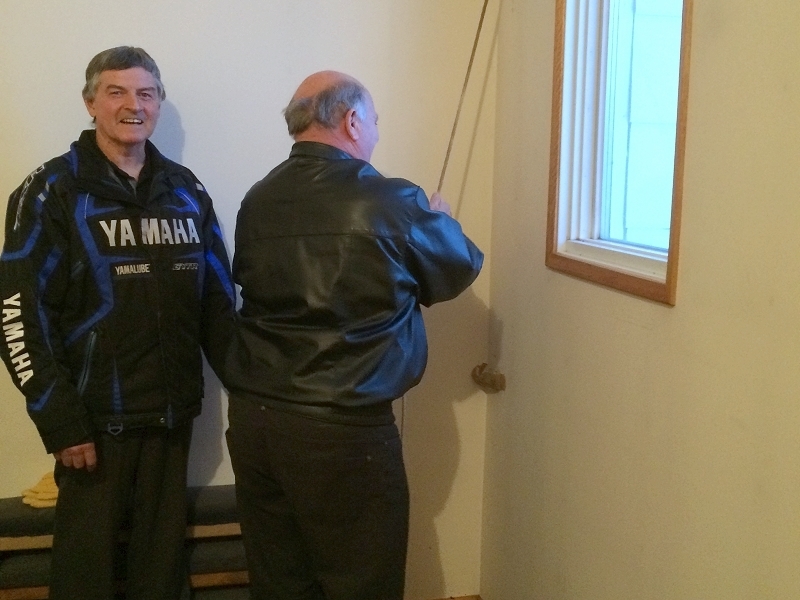 And we would also like to thank the Roman Catholic Church in Birch River for allowing us access to achieve our goal of ringing the bell 100 times. 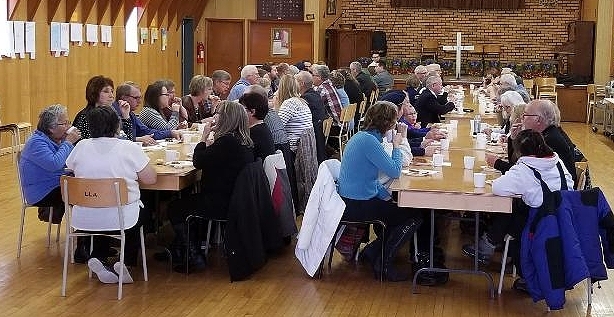 The gathered crowd then moved over to the Legion Hall where the most delicious pot luck supper was ready – we would also like to thank the Malley Bros for purchasing the turkeys for this supper.